This is a lighted fretboard for the neck of my pedal steel guitar. I made it using a 3D printer for the black of the neck, the white edging, the clear covering over the stars, and the black cover over the electronics at the bottom. RGB (three color) LEDs light up the stars, and the frets via side-emitting fiber-optics. 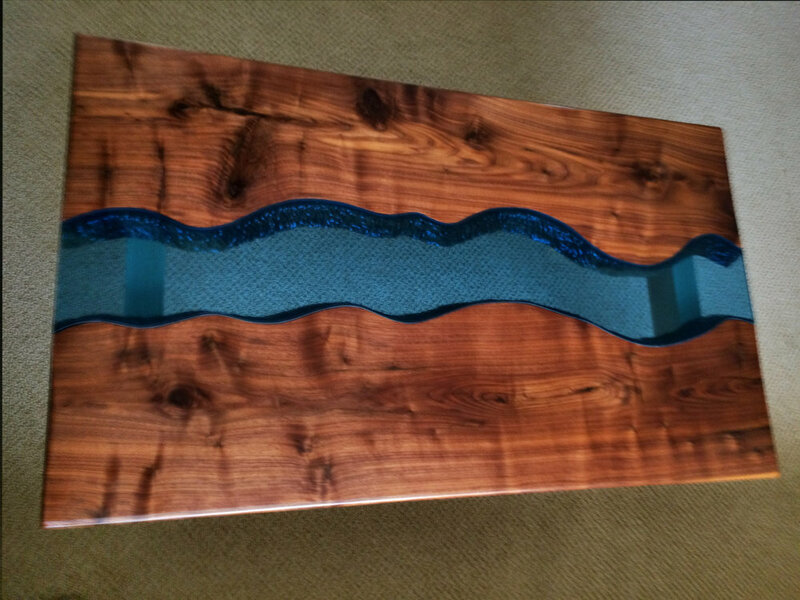 Here is a coffee table I made out of black walnut for the top, maple for the legs, and blue glass for the water. I could not find a source for “live-edge” walnut, so I carved out the channel for the river by hand and machine tools. Also this was auctioned for the North Bay Humane Society. By now you may have noticed the "dog and cat" theme for these. 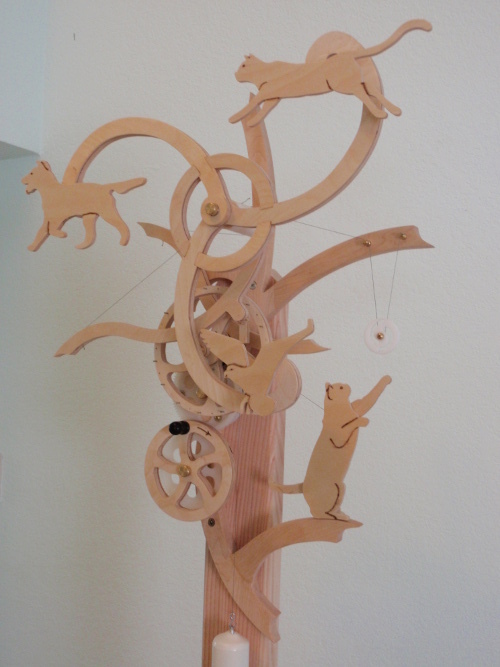 It was created for the North Bay Humane Society, where it was auctioned during a fundraiser. A dog and a cat are in a seance to determine "Who Will Be My New Owner". 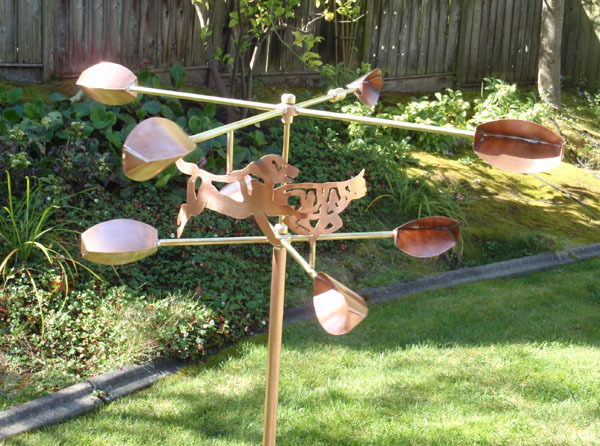 It is made of brass and copper. The "crystal ball" in the center is lit by LED lights, and is constantly changing through thousands of colors by use of a microcontroller (computer chip). Also this was auctioned for the North Bay Humane Society.